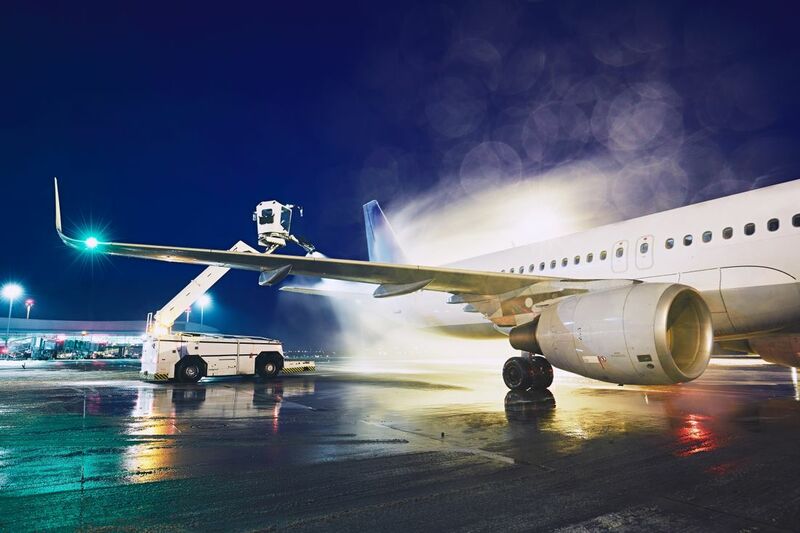 Utilizing de- and anti-icing chemical fluids on aircrafts is often a prerequisite for ensuring safe take-offs during winter conditions. Vaisala CheckTime increases operational efficiency and minimizes environmental impacts by combining real-time environmental data with information on de- and anti-icing fluids. You may have, as an aircraft passenger, wondered why certain fluids are sprayed onto aircrafts during winter months. “The surfaces must be clean before it can rise into the air because ice, snow and frost can affect the aerodynamic characteristics of an aircraft. After de-icing so-called second step anti-icing fluid is used to prevent re-freezing. De- and anti-icing is also prescribed by the regulations, meaning that a pilot cannot take-off if the wings of an aircraft are covered with frost, snow or ice. It’s the pilot’s responsibility to determine when de-/anti-icing must be done,” clarifies Vaisala Lead Consultant Pasi Piirainen. “The right timing is important, because if departure is delayed but the aircraft has already been de-/anti-iced, it may have to be done again,” adds Head of Aviation Tapio Haarlaa. Vaisala CheckTime system provides the pilot updates every minute as it uses the precision weather measurement equipment on each airport to provide dynamic decision support information to the pilot in the cockpit. “That means the pilot is able to make more precise decisions regarding the need for de- and anti-icing,” says Haarlaa. With the help of CheckTime, a pilot can also check the protection periods of fluids, which helps to optimize the amount of fluids used and the possible need for re-treatment. “De- and anti-icing fluids create indirect greenhouse gases for airlines and airports. CheckTime provides accurate and reliable information, which can significantly reduce the use of these. Therefore, it is a valuable addition to the environmental management of the aviation industry as it provides assistance in minimizing the environmental footprint of airlines and airports,” says Piirainen. The system also enhances the functioning of airports, as the de-icing of an aircraft is carried out in a timely manner it reduces the rotation of airplanes for a repeat de-icing, especially in bad weather conditions. “This smooths not only the traffic flow of aircrafts but makes traveling by air a bit smoother for the passengers as well,” Haarlaa concludes. Vaisala is a global leader in environmental and industrial measurement. Building on 80 years of experience, Vaisala provides observations for a better world. We are a reliable partner for customers around the world, offering a comprehensive range of innovative observation and measurement products and services. Vaisala on maailman johtava ympäristön ja teollisuuden mittausratkaisuihin erikoistunut yritys.